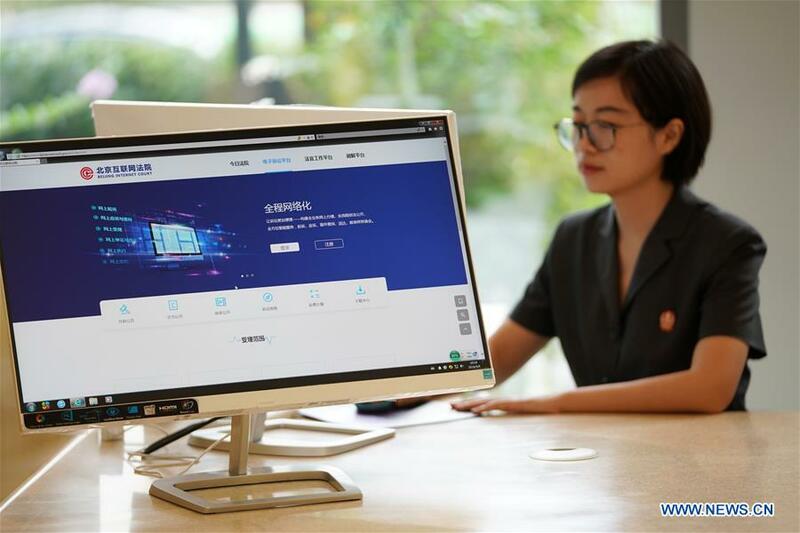 BEIJING, Sept. 9 (Xinhua) -- China's second internet court opened in Beijing on Sunday as authorities step up measures to protect business transactions, personal information, and intellectual property online. According to the latest survey by the China Internet Network Information Center, China has 802 million internet users, about 71 percent of whom are also online shoppers. The value of online retail sales reached 4.08 trillion yuan (about 594 billion U.S. dollars) in the first six months of 2018.